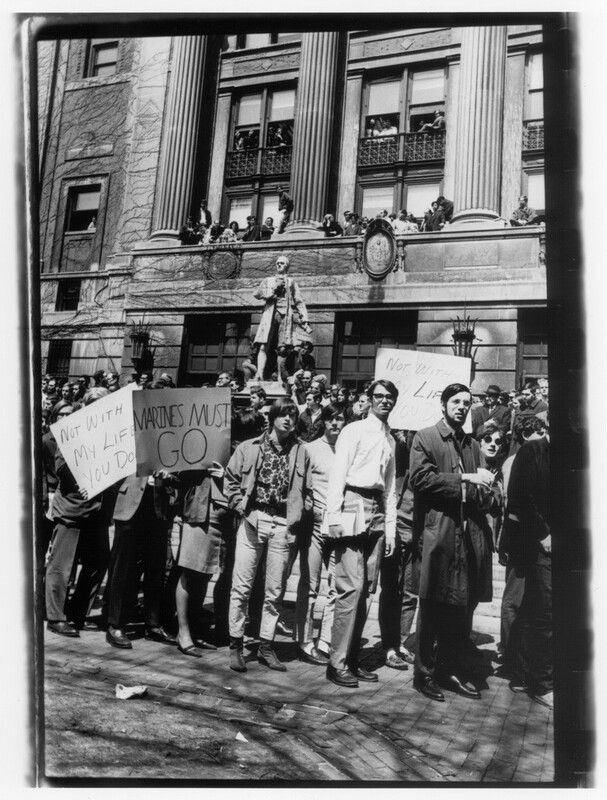 Photograph of demonstration in front of Hamilton Hall against Marine recruiting, April, 21, 1967. Office of Public Affairs Photograph Collection, Protest & Activism Series, 1967-9; roll #75, binder 2 of 2. Scan #1146. University Archives.